Two months ago, set reports from Guardians of the Galaxy Vol. 2 appeared to suggest that action veteran Sylvester Stallone was filming a secret and seemingly uncredited cameo – likely as a faceless Nova Corps foot soldier – in James Gunn’s galactic sequel. But ComicBook.com has news of a much more prominent piece of fan service involving one Nathan Fillion. The tidbit arrives in tandem with new set photos featuring Yondu and a handful of his alien goons (via Atlanta Filming), but the reveal of Fillion’s cameo ventures far into spoiler territory – one you’ll find after the jump. Still with us? According to the outlet, Fillion will make a blink-and-you’ll-miss-it appearance as Simon Williams, a.k.a. Wonder Man. But don’t get carried away just yet; ComicBook.com notes that the inclusion of Fillion – a fan-favorite following roles across Firefly and Castle – is intended to be an easter egg. First spotted by a Reddit user, the cameo is referenced via mock movie posters documenting Simon Williams’ retirement from villainy, before seeking out a career in acting. Not only is it a neat piece of fan service for diehard Marvelites, but it also reaffirms reports that at least a portion of Guardians of the Galaxy Vol. 2 will take place on planet Earth – be that in the form of a flashback or a sequence filmed in the present day. Headlining the spacefaring sequel are Chris Pratt as Star-Lord, Zoe Saldana as Gamora, Dave Bautista as Drax, Bradley Cooper as Rocket Raccoon, Karen Gillan as Nebula, Michael Rooker as Yondu and Vin Diesel as Groot. There’s also room for franchise newcomers Pom Klementieff as Mantis and Tommy Flanagan as a henchmen of Yondu. Guardians of the Galaxy Vol. 2 is expected to open in theaters on May 5, 2017. 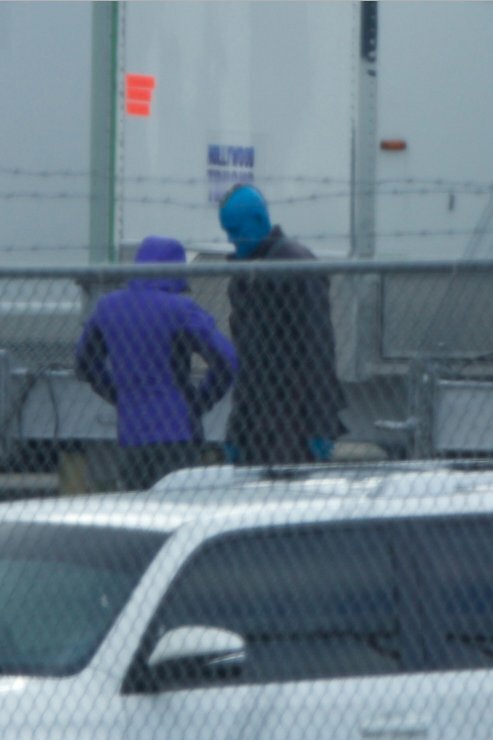 Those set photos featuring Yondu’s goons, meanwhile, can be viewed below.